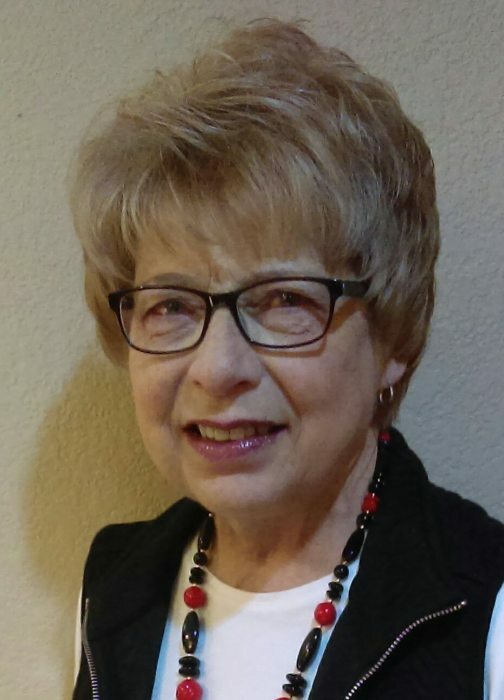 CHERYL “CHERI” LAURA (MYERS) SCHMIDT, age 67, of rural Ocheyedan, IA, died Tuesday, April 2, 2019 at Edgewood Assisted Living in Baxter, MN. She was born on January 6, 1952 in Brainerd, MN and grew up on a farm in Pine River. Her family relocated to Worthington 1962 and she graduated from Worthington High School in 1970. Cheri received training as a Laboratory Technician at Rochester Community College and worked in the Worthington Regional Hospital for twenty seven years. Cheri married Eugene (Gene) Schmidt in 1985 and moved to Ocheyedan, IA. She was a devoted wife for thirty two years, until Gene’s passing in October, 2017. For many years, she enjoyed working alongside Gene as well as traveling and going dancing with him. Throughout her life, Cheri was an active member of St. Matthew Lutheran Church, and loved and served Jesus. She was passionate about evangelism and assisted other congregations in evangelism efforts. She was deeply fulfilled by her work with an after-school youth program at St. Matthew. Cheri was also an avid gardener who spent many happy hours tending her flowers and yard. Cheri is survived by her mother, Arla (Heath) Myers; a step-daughter, Veronica Schmidt (John) Harvey, Phoenix, AZ; step-son, William (Kim) Schmidt, Omaha, NE; four grandchildren, Brittany (Tim) Gast, Bethany (Joe) Delanty, Leah (fiancé Ben) Schmidt; and Levi (fiancée Maddie) Schmidt; three great-grandchildren, Jacob, Isaac & Kaitlin; brother, Daron Myers; sister, Jennifer (Mike) Clasen; nephew, Christopher (Mauryah) Clasen; niece, Ashley (Christopher) Hanson; and nieces, Michelle and Angela Myers. She was preceded in death by her husband, Eugene Schmidt; father, Marvin Myers; grandfather, Myron Myers; grandmother, Blanche (Stone) Myers; grandfather, Merle Heath; and grandmother, Laura (Schwartz) Heath. Visitation will be from 5-7 pm Tuesday, April 16 at the Dingmann Funeral Home in Worthington; and also one hour prior to the service at the church on Wednesday April 17. Funeral will be 11:00 am Wednesday, April 17, at the St. Matthew Lutheran Church, in Worthington, officiated by Pastor Mark Schreiber. Burial will be at Zion Lutheran Cemetery near Ocheyedan, IA, alongside husband Gene. To view an online obituary or order flowers, please visit www.dingmannandsons.com.